University of Jammu is starting job oriented P.G. course in Geology (Hydrology & Soil Dynamics) in its Kishtwar campus from the current session 2011-12. The admission shall be made through Entrance test to be held on Sept 21st, 2011 at the University of Jammu and the University of Kashmir campuses. 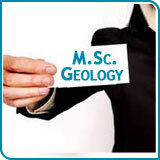 Bachelor's degree in the discipline of Science of three year duration with Geology as one of the elective subject with atleast 50% of the aggregate marks (40% for Scheduled Caste/Tribe candidates). 1) Department of Geology, University of Jammu, Jammu. 2) Kishtwar Campus, University of Jammu at Kishtwar.